ComfortDelGro is expected to report a 4Q18 core net profit of S$78m on revenue of S$994m. A sharper-than-expected decline in the taxi fleet has led to a downward revision to our 2018 estimates. Offsetting the decline are maiden contributions from the Bukit Merah bus contract and contributions from overseas acquisitions. Earnings growth in 2019 will be driven by overseas acquisitions, which makes up 2ppt of the 9% y-o-y earnings growth in 2019. Maintain BUY with an unchanged target price of S$2.59. 4Q18 net profit expectation of S$78m. COMFORTDELGRO CORPORATION LTD (SGX:C52) will be reporting its 4Q18 results after the market close on 13 February. We expect 2018 revenue of S$3,781m (-5% y-o-y) on core PATMI of S$300m (+4% y-o-y), implying a core PATMI margin of 7.9%. For 4Q18, we expect revenue of S$994m (+3% q-o-q) on core PATMI of S$78m (-3% q-o-q), implying core PATMI margin of 7.8% (3Q18: 8.2%, 4Q17: 5.4%). Taxi fleet declines 6.7% yoy, more than expectations. ComfortDelGro closed 2018 with a taxi fleet of 12,360 taxis (-6.7% y-o-y), representing a larger drop vs our expectation of a 2% y-o-y decline. Further taking into account the seasonal weakness in 4Q, we have adjusted our numbers accordingly, lowering our 2018 taxi EBIT expectation to S$126m (-7% y-o-y), thereby implying a 4Q18 EBIT of S$30m (+19% y-o-y). Bukit Merah bus contract commences, to drag margins. The Bukit Merah bus contract kicked off in 4Q18, and is expected to add S$24m in revenue to the public transport segment. EBIT margins are expected to be lower relative to that under the Seletar contract due to a lower bid, and this is likely to be a drag. However, the drag is expected to be partially offset by full-quarter contributions from ComfortDelGro’s recent overseas acquisitions, which add 0.1-0.2ppt to EBIT margins. All in all, we expect the public transport segment to report a 4Q18 revenue of S$720m (+12% y-o-y) and EBIT of S$58m (+32% y-o-y). Expecting final dividend of 6.1 S cents. This brings ComfortDelGro’s total dividend payout to 10.45 S cents, implying a dividend payout ratio of 75-76%. Ride hailing concerns were overblown. Prior concerns about Go-Jek starting a new price war have proven to be largely unfounded. The recent lowering of drivers’ incentives at Go-Jek narrows the earnings divide between private hire and taxis. A recent commentary showed that on a per hour basis, taxi drivers are probably better off, in line with our interactions with drivers. Passenger fare incentives that spurred greater ridership of private hires over taxis have also been relatively absent compared to the Grab-Uber days. Lastly, potentially tighter regulations on private hires increase the regulatory costs for private hires. With the business environment souring for ride-hailing, the threat to well-established incumbents like ComfortDelGro is fading. Overseas acquisitions to drive earnings growth. Earnings growth is likely to stem from the public transport segment, where ComfortDelGro made several acquisitions in 2018. Of the 9% y-o-y incremental earnings projected for 2019, 2ppt is attributed to overseas acquisitions. The coming quarters will provide more clarity, as earnings contributions in 2018 were likely marred by integration and acquisition costs. Adjust 2018-20 earnings forecasts by 0-2%. 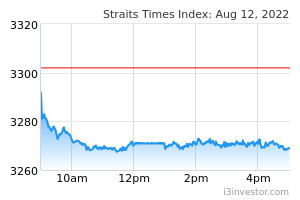 Maintain BUY, with target price unchanged at S$2.59. 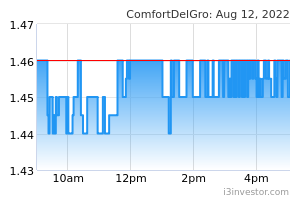 We value ComfortDelGro using its long-term mean PE of 16.8x 1-year forward PE, pegged to 2019F earnings. The stock is trading at 15.6x 2019F PE, with a dividend yield of 4.8%.